Why this? Why now? Why me? So, where does disappointment come from? And why, as God’s children, do we wonder if our God really is a good God with good plans for our life? 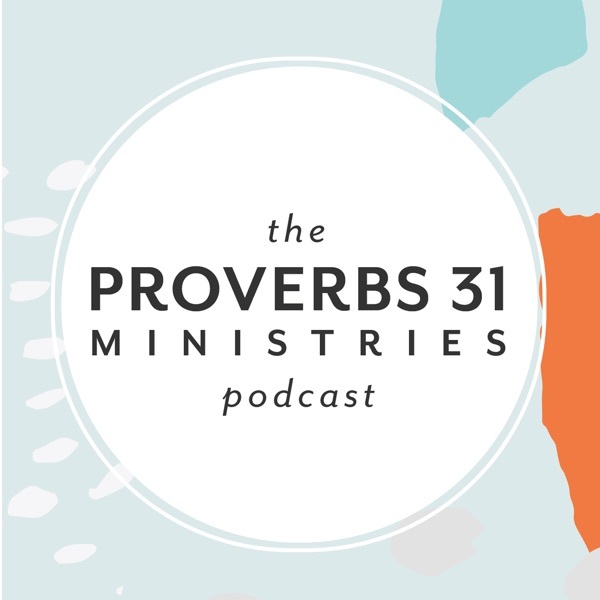 In this episode of the Proverbs 31 Ministries Podcast, Lysa TerKeurst gives a message on this hard topic based on her newest book, It’s Not Supposed to Be This Way: Finding Unexpected Strength When Disappointments Leave You Shattered. Trusting God with the outcome of your story is a crucial lesson to learn in order to navigate disappointments. When you keep your eyes on Him, your joy doesn’t have to depend on a person, place or circumstances being made right. If your story isn’t turning out the way you thought it would, God will show you an even more glorious story that can be written. It’s Not Supposed to Be This Way by Lysa TerKeurst is available now wherever books are sold! Purchase your copy today at p31bookstore.com. Check out our exclusive It’s Not Supposed to Be This Way resources to use as a reminder of finding unexpected strength in your everyday life. When hurtful circumstances happen, we wonder, "How will I ever get over this?" Lysa TerKeurst deeply understands that feeling. Since the release of her latest book, It's Not Supposed to Be This Way, she's received hundreds of emails, direct messages on social media and inquiries from people asking her how she got through one of the hardest seasons of her life. Social media and television make it incredibly easy to compare our behind-the-scenes to someone else's highlight reel... especially in our marriages. We turn on the TV, and then we're turned off because it seems everyone else has a happier, more exciting and more romantic marriage than we do. Do you ever wonder if all the things you do for your children is even making an impact? If the wisdom we try to impart actually sticks or if we're really cut out for this "mothering" job after all? Proverbs 22:6 says, "Train up a child in the way he should go, and when he is old he will not depart from it." As parents, this Scripture sounds promising, but being in the "thick of it" is tough! If you were to walk through your home and make a stack of all the "advice" books you own, there's a good chance that stack would be pretty tall! There is a book available for every subject you could ever need: time management, pregnancy, parenting, relationships, dieting, exercising, overcoming anxiety... the list goes on! But where do you find real wisdom for living? How do we embrace what seems so glaringly imperfect in the process of becoming more like Jesus? In Lysa TerKeurst's new book, It's Not Supposed to Be This Way, she says "Anytime we feel not good enough we deny the powerful truth that we are a glorious work of God in progress." When things don't go the way we want and life doesn't turn out the way we thought it should, it's easy to wonder why. In Mark 14, Jesus prays "Yet not what I will, but what you will." Those words read well, but they're hard to live out. The hymn, "It Is Well With My Soul" was first published almost 150 years ago. Those words are often sung in church or hung on the walls in our homes ... but if we were really honest with ourselves, could we say they're absolutely true? Is It Really Well With Your Soul? Have you ever set out to do something you knew you were supposed to do, only to find it wasn't as easy as you thought it would be? Perhaps you think you're not good enough, or that there's no room for you because there's someone else already doing what you feel led to do. Have you ever sat down and opened your Bible, only to find you don't really know where to start? Perhaps you read a chapter and then just move on, not knowing what would come next in actually studying the passage? Or, maybe there are passages in the Bible that are confusing, so you just keep go back to the same familiar ones? Whether you are a student, a wife, a mother or a caretaker of aging parents, we all want to fulfill that special calling God has placed on our lives. But how do you do that in the midst of running errands, caring for your loved ones and fulfilling the role your current season requires? When you read about Solomon's life in 1 Kings 3:3 it says, "Solomon showed his love for the Lord by walking according to the instructions given him by his father David, except that he offered sacrifices and burned incense on the high places." When you look for examples of worship in the Bible, you'll find everything from songs sung in corporate worship to deep prayers uttered in the midst of hard circumstances. Today, most of us relate worship to attending church and singing songs together. But what if worship is something we can do every day in the seemingly insignificant moments of life? Have you had a recent disagreement in a relationship, which you can't quite find the cause of? It might be because of your expectations! One of the quickest ways to frustrate and fracture a relationship is to try and hold someone accountable for expectations that are either unrealistic or uncommunicated. What Do We Do With Expectations? When you see the word "ministry," it's easy to think about people or organizations making big moves for God - feeding hungry children, rescuing those in slavery or speaking in front of thousands of people. But what's so easy to overlook are life's greatest ministry opportunities packaged in everyday moments.